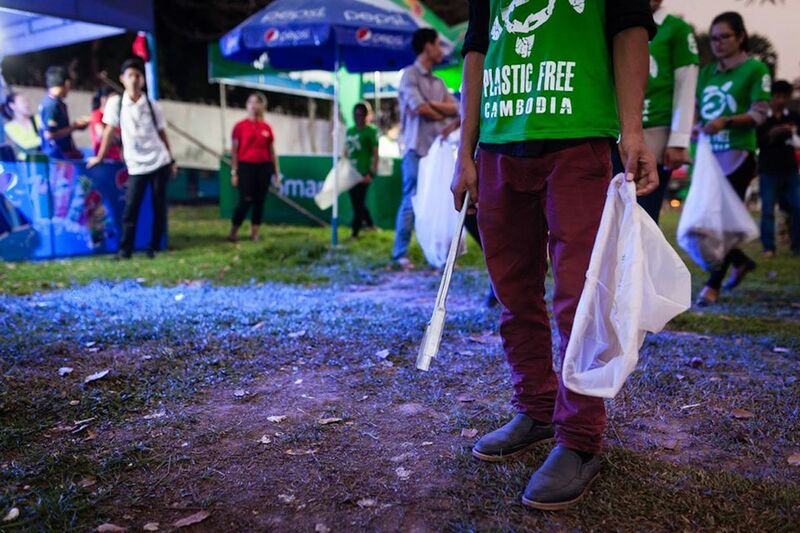 Plastic Free Cambodia is working to reduce the use of single-use plastics in order to create a healthier community and environment. Come and join our plastic-free, low waste community on Patreon – whether you’re just getting started, are a eco warrior, an educator or in need of a support group – this is the place for you. 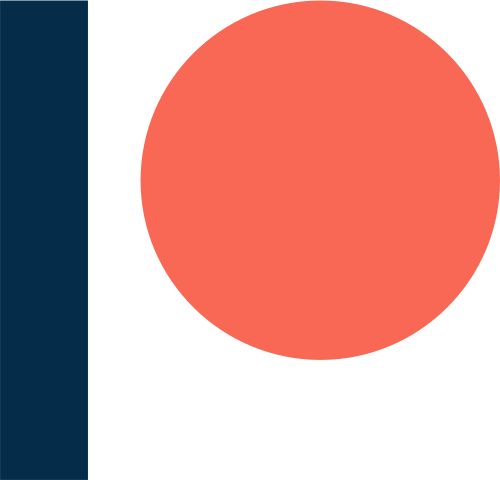 Patreon is a creative platform that allows you access to valuable content from us! If you love what we do, get involved. We want to help you solve plastic pollution issues you face – be that in your house, workplace or town. You’ll gain access to a wealth of information in easy to absorb and action pieces. Do you want to manage your waste better? Our key focus is on reducing plastic consumption. Workshops and training help your school, hotel, restaurant, NGO or company reduce consumption and manage waste and understand about climate change, environmental health and ecosystems. The sessions are great for encouraging team work and problem solving. Find out more. 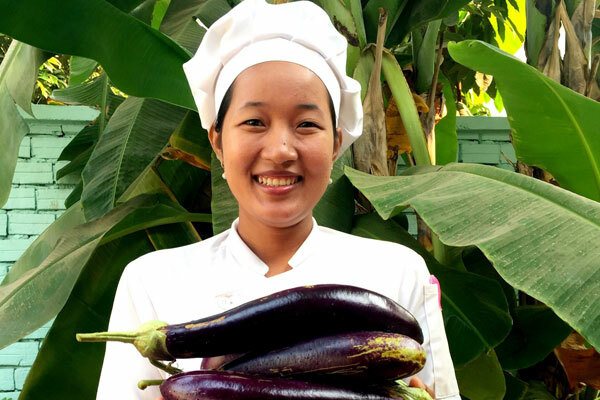 We are actively involved in a host of important initiatives and events in communities across Cambodia. 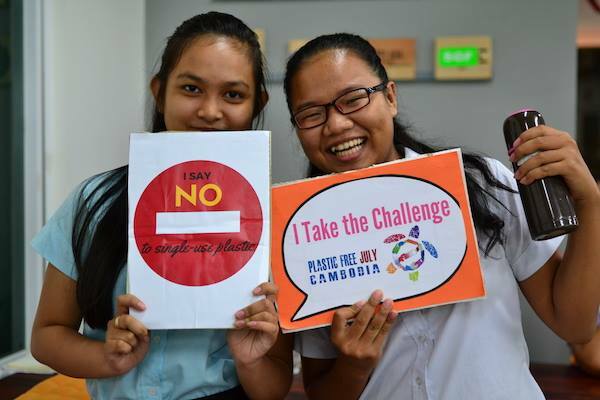 We also run our own community awareness programs and campaigns such as Plastic Free July that aims to reduce plastic waste by businesses and individuals. You can take action too – learn about PFC’s ambassadors program. Want some help to reduce plastic at your workplace? We can help you find solutions that reduce plastic usage and improve the way your business manages its waste. Want reusable or biodegradable alternatives to plastic? We can help to connect you to suitable suppliers or manage your order for you. Find out more. Plastic never goes away. Ever. Every piece of plastic that we have created is still here on earth in one form or another. Plastic waste affects fish, sea creatures, birds and other wildlife. Eating plastic waste is harmful for fish and marine animals, it could also be harmful for you when you eat fish and seafood! Plastic is dangerous to our health. Plastic bottles and polystyrene/styrofoam containers contain chemicals that are known to cause cancer. Most of us have heavy industrial chemicals in our bloodstream because of the plastic we use every day. Plastic pollution is a major contributor to climate change. In Cambodia the affects of climate change are felt intensely. Plastic is a significant part of the problem we can see and address in our daily lives. Jump in, we’re here to help! Become a PFC Plastic Fighter and receive advice and support to go plastic free and be a leader in your community! Become a PFC Plastic Fighter! Be proud of the efforts you make, every small action counts and over time make a huge impact! That’s why we want to reward small businesses making a difference. If you’re a cafe or small restaurant, this is for you! Give up plastic for one month! It’s easy! Rule 1 Follow the 5 R’s: Respect, Refuse, Reduce, Reuse, Recycle. Rule 2 Keep your plastic waste in a separate bin and count what you use week after week! Rule 3 Share your stories on our PFC Facebook page! It began Australia in 2011 and in Cambodia in 2015! In 2017, over 1,000,000 people from 159 countries joined the challenge! Organize a plastic free challenge at home, school, work… Challenge your friends, colleagues, family, neighbours… Let’s do this together! 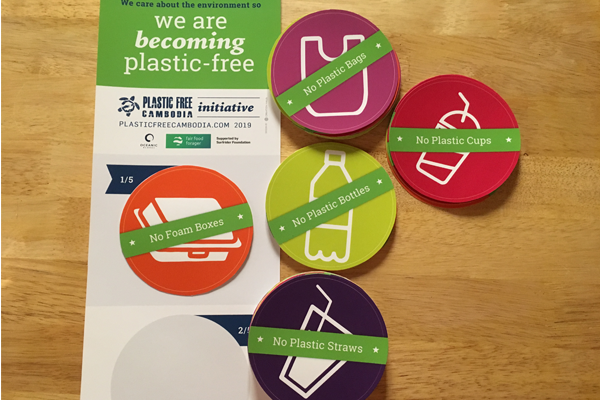 PFC has developed an eco-label, specifically for cutting out single-use plastics that will reward the businesses that are reducing disposable plastic use. PFC consultants will help your business to reduce all the plastic packaging coming from your suppliers, the market, staff etc. Be recognised for the great work you do in reducing plastics in your place of work, or get help to implement those changes you’ve been meaning to make. Create a healthy workplace and be proud of it. Especially for restaurants and hotels, appealing for tourists and beneficial for all of your customers and your staff too! Read about all of our services here. Be part of a green, clean, waste-free future! Want to do something in your community, but need some help to get started? We’ve got some great guides and ideas just for you! Sign up to be part of a global community get ready to fight plastic wherever you are! Catch all the latest news, stories, unique insights, tips, tricks and more!